In case you missed it, A Silver Lining Foundation (ASLF), founded by NBC5's Dr. Sandy Goldberg, held its annual Donor Appreciation Night at the Seneca Hotel September 18. A cheery Dr. Sandy hugged and chatted with guests, while everyone enjoyed cocktails and honored the donors who supported ASLF during the past year. ASLF, founded in 2002, provides screening mammograms and breast cancer reso urces to uninsured and underinsured patients. ASLF strives to ensure dignified, respectful and equal access to quality cancer education and services for all, a cause near and dear to the hearts of all who attended the event. The party continues this weekend as Dr. Sandy and her pals host their annual fundraising gala, A Sterling Event, on Saturday, October 4, at the Hyatt Regency McCormick Place (2233 South Martin L. King Drive), with cocktails at 6:30 p.m., followed by dinner at 7:30 p.m. Rob Elgas and Ginger Zee, two of NBC 5's other familiar faces, are hosting the black tie bash, which will include dancing, a raffle and a live auction. Tickets are available for $300 per person, or $3,000 per table. For tickets and more information on A Silver Lining Foundation, visit http://www.asilverliningfoundation.org/. For some, the weekend means only one thing: brunch. It’s an excuse to forgo the oatmeal, yogurt and bran cereal we know so well Monday through Friday, and gorge ourselves on first seconds and thirds of bacon, eggs, and various sweet pastries. Sweet Baby Ray’s Restaurant in Elk Grove is getting in on the brunch game and starting a few new traditions sure to please the customers. Just in time for football season, the doors of Sweet Baby Ray’s Restaurant are opening early for Sunday Brunch Buffet on the second Sunday of every month, starting September 14, from 10:30 a.m. until 3 p.m. No need to wait for your food to come to you, hungry brunch-goers can take the initiative and grab a plate up at the buffet. Enjoy a tailgating themed menu featuring hearty foods as well as a variety of salads, pastries and fruit. Expect to be wowed with an omelet station, carved tequila-cilantro grilled flank steak and carved slow smoked beef brisket, as well as grilled cheddar bratwurst, smoked polish sausage, barbecue ribs, barbecue chicken, pulled pork, grilled pork chops with long pepper and yellow pepper relish, three-bean and three-meat chili and ditalini pasta in cheddar cheese sauce. Like salad? Fill your plate with Southwestern shrimp and avocado salad, Caesar salad and a tossed salad, but save room for a sumptuous dessert spread including Super Bowl trifle, chocolate fudge brownies and grilled pound cake with cinnamon apples. The brunch buffet is $19.99 for adults and $8.99 for children, ages 6-12. Reservations are highly recommended. Sweet Baby Ray’s Restaurant is known for its delicious take on Chicago-style barbecue, but on Sunday, October 12, Sweet Baby Ray’s will be all about its Oktoberfest brunch. 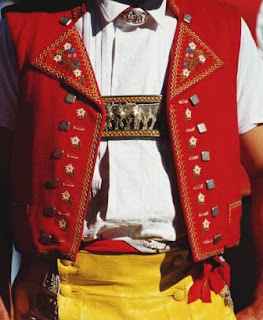 The Gabelfrühstück (German for “brunch”) menu includes an Omelet Station; Eggs Benedict with Black Forest Ham; Grilled Bratwurst, Wiener Schnitzel, German Chicken with Bacon and Sausage, Chicken Paprikash, Braised Red Cabbage and Onions, Sauerkraut and Spaetzle. Buffet salads include German Potato Salad; Cucumber, Sour Cream and Dill Salad; Green Bean Salad and Red Beet Salad. All are bound to be a refreshing addition to the feast. For dessert, Sweet Baby Ray’s offers Apple Strudel, Apple Walnut Bundt Cake and Linzer Torte, a buttery, flaky torte known for its latticed top and sweet peek-a-boo preserves. Yum! Oktoberfest brunch at Sweet Baby Ray’s Restaurant is $19.99 for adults and $8.99 for kids, 12 and under. Brunch hours are from 10:30 a.m. until 3 p.m. And yes, you can leave the lederhosen at home. Need to get your BBQ fix A.S.A.P? 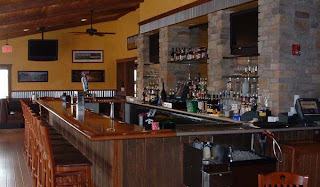 Visit Sweet Baby Ray’s Restaurant online at http://www.sbrbbq.com/ and check out all the menus, specials and events listed there and updated monthly. Cupcake lovers have long awaited the opening of MORE, a specialty retail cupcake boutique and wholesaler, which opens its doors today at One East Delaware Place. MORE is the upscale creation of charming, energetic owner Patty Rothman, who has teamed up with culinary leaders, consultants Gale Gand and Henry Adaniya. Gand, winner of the James Beard Foundation Outstanding Pastry Chef award, designed some of the recipes for the unique, extra moist cupcakes, while Adaniya developed the business concept of MORE. "We wanted to create a business that was upbeat and fun, and what could be more fun than cupcakes?" says Rothman. "Not only are they delicious, but they are also small enough to fit in one hand, so we can all indulge in cupcakes and not feel so guilty." Rothman, a successful entrepreneur and business woman, credits her number one role, as mom, for the inspiration behind MORE. After years of making cupcakes for her five children, who range from ages five to 16, she began to see greater possibilities. With the support of her close friends in the culinary world, she made the decision to open the all-cupcake boutique. MORE offers a rotating collection of more than 50 varieties of rich, flavorful cupcakes. 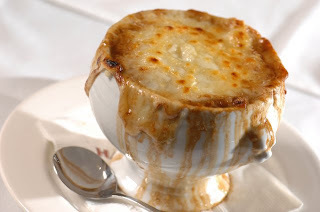 The collection is noteworthy for its unique savory flavors in addition to its wide variety of sweet recipes and classic favorites. The cupcake menu changes often, and includes special holiday and seasonal flavors. Offering an extensive list of both sweet and savory flavors, MORE aims to please a broad array of customers. 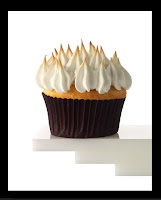 Rothman and her team have worked to develop all elements of their cupcakes, so as to accommodate different palates. The cupcakes showcase a combination of bold and subtle flavors, with twists such as Ganache filled chocolate, Passionfruit Poppyseed, Pink Grapefruit, and Creme Brulée. Savory flavors include Bacon, Lettuce and Tomato; Fig, Blue Cheese and Port, and a Madras Curry cupcake, which is layered with mixed berry jam, slathered with goat cheese and yogurt frosting and then garnished with puffed wild rice. Traditional flavors such as chocolate, white, yellow, red velvet, carrot and lemon are also among the 50 varieties. "There are two types of people: frosting people, and cake people," according to Rothman. "We’ve customized the frostings to complement each cake flavor, so that both types of people are satisfied." Joining the stellar MORE team is Executive Pastry Chef Todd Maturatai, who creates unique cupcake combinations of his own. After graduating from Kendall College, Maturatai took an internship opportunity at the esteemed Trotter’s To Go. 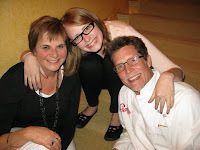 The young chef credits the eight months he spent there in shaping his skill in the culinary arts. Maturatai comes to MORE after a five month stint as Executive Pastry Chef at Powerhouse Restaurant and Bar. With a philosophy that cupcakes are more than what meets the eye, Maturatai is enthusiastic about tackling the more challenging savory combinations. "In regards to developing savory recipes, I’ve worked to put my thoughts into an entirely different perspective," says Maturatai. "My creative approach is to look at everyday items and apply them to the cupcakes I create." Showcasing this creative way of baking, Maturatai found himself dining at fine restaurants, looking at diverse ingredients for inspiration. MORE’s Caramelized Onion cupcake, which features an olive oil buttermilk cake, topped with caramelized onion frosting and candied pine nuts, is evidence this practice works. During the planning process, with so many wonderful cupcake creations in the works, Rothman’s focus turned to store’s location and design. MORE found a home in Chicago’s Gold Coast neighborhood, a perfect fit for the chic cupcake boutique. Rothman’s vision was to transform the retail space so as to evoke the essence of a cupcake. The store was designed by 2008 AIA Chicago Firm of the Year, David Woodhouse Architects, LLC. It is a warm and comfortable feast of the senses. Customers are immediately greeted by a glass wall filled with suspended cupcakes. The ambience is inviting with rich textures and colors, and offers, in essence, material abstractions of the ingredients like butter cream and chocolate. The store’s unique backlighting illuminates the walls, to give the illusion of frosting throughout. Rothman expects many customers to buy cupcakes by the dozen, with a good portion of MORE’s business coming from special orders for cupcakes at private events—weddings, birthdays, bar mitzvahs and so on. Special signature packaging is available for gift giving. As a wholesaler, MORE also supplies restaurants, hotels and corporate clients.It’s no secret that cupcakes are the nation’s hottest trend. With the huge success of Magnolia in New York and Sprinkles in Los Angeles, Rothman and her culinary team are confident MORE will have the same type of impact on Chicago. "New York has Magnolia, but we’re bringing MORE to Chicago, in every sense of the word," states Maturatai. MORE, located at One East Delaware Place at the intersection of State Street and Delaware in Chicago, is open 8 a.m. to 8 p.m., Monday through Sunday. For more information, contact MORE at (312) 951-0001 or send an e-mail to info@morecupcakes.com. Please visit http://www.morecupcakes.com/. Have you ever thought about how hard it would be to eat locally? Think about what it was like 100 years ago? How would it change your life and our environment if you only purchased and ate foods that were grown locally? Here's your challenge: Become a localvore. You ask, what's a localvore? According to the pundits, it's one who eats only locally grown and produced foods. There's been a international movement towards educating people about the advantages of doing such. A localvore is a person committed to eating and learning about food grown within their food shed. Localvores recognize that there are multiple benefits of eating food grown close to home. The informal movement has sprouted in the past five years in response to a food supply that has become increasingly global and sprawling.It only stands to reason that Chicago's own Green City Market participates. So, during September 10-24, Chicagoans are being asked to register and participate in the Green City Market's LOCALVORE Challenge. Eat Only Locally Produced Food For Two Weeks! Enjoy the best tasting, healthiest and freshest foods. Benefit the local economy by supporting local farmers and producers. Create less pollution and protect the environment by reducing the distance your food travels from farm to table. Preserve farmland and sustain rural communities. Local means: grown or made entirely with ingredients from Illinois and its border states, plus Michigan. Set your exceptions before you begin (common exceptions include sugar, salt, pepper, spices, olive oil, coffee and tea). Pick up your information packet at the information table at Green City Market. food organizations and the public. through education and appreciation for local, fresh, sustainably raised produce and products. The Chicago Green City Market is located at the South end of Lincoln Park between Clark and Stockton Drive. Discounted parking is available for $8 for the first two hours at the Piper's Alley Self Park Garage located at 230 W. North Ave. Customers must pick up a validation coupon at the Information Desk to receive the discounted price. Additional discounted parking is available for $9 for the first two hours with validation in the parking lot off of Stockton Drive at North Avenue. The 43rd ward has a new Free Trolley service through Lincoln Park and along Michigan Avenue to Chicago's most popular sites. The trolley service stops directly in front of Chicago's Green City Market and runs every 20 minutes. If you couldn't attend the fabulous Green City Market benefit Sunday, Sept. 7, you missed the best benefit of the season. 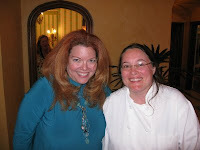 The beautiful Mettawa home of Bill Kurtis and Donna LaPietra was transformed into a foodie paradise with some of Chicago's best chefs sharing their favorite seasonal foods with us. Check out the photos here. Was it luck or was it Abby? The weather could not have been any better. I know that Abby was looking down with her million dollar smile. As always, she would have been so proud. While GCM is still wrapping up numbers, the event generated more than $100,000 - an incredible testament to all of the hard work of the Green City Market staff, board, supporters and friends. A big shout out to LaPietra and Kurtis who made this incredible event possible by supplying the perfect setting. Event Co-Chairs, LaPietra, Peggy Crowe and Sarah Stegner tapped all of their friends and resources to make this happen; and Rita Gutekanst and her team from Limelight Catering provided elegant service and food under the superb direction of Limelight's chef Brian Shustrick and the guest chefs, a literal who's who of Chicago's culinary scene including, GCM board members Sarah Stegner (with partner George Bumbaris, Prairie Grass Cafe), Rick Bayless (Frontera Grill/Topolobampo) and Bruce Sherman (North Pond). Other participating Chef market supporters included Terry Crandall of the Peninsula Hotel, Gale Gand of Tru/Tramonto's Steakhouse, Kevin Hickey of Seasons at the Four Seasons Hotel, Amalea Tshilds and Jason Hammel of Lula Cafe, Paul Virant of Vie and Dean Zanella of 312 Chicago . Thanks to Nacional 27 mixologist Adam Segar for the yummy cocktails and to all of the wine and liquor suppliers who helped to make all of the the delicious libations possible. 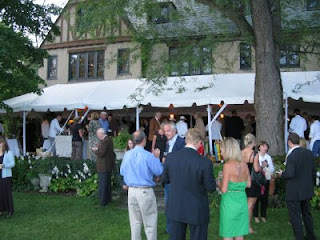 The 150 plus guests thoroughly enjoyed the evening, and the event ran flawlessly. Patty Rothman is on the cupcake diet. This means she eats the things for breakfast, lunch and dinner—sometimes she’ll even sneak a bite or two between meals. It’s easy to eat cupcakes around the clock when armed with choices like the BLT, BBQ peach and mango sticky rice. These are just a few treats the pastry queen is doling out at her new cupcake shop, MORE, on State and Delaware. Rothman is challenging folks to think outside of the box (or mix, if you will) with her list of savory cakes. The BLT, a house favorite, gets a dollop of ranch dressing frosting topped with thin tomato slices, arugula and tiny bits of bacon. BBQ peach is a nod to backyard cookouts with its fresh fruit and smoky finish, and the mango sticky rice—well, it’s just damn good. It would be a shame, though, to dive into these lunchy selections without first treating yourself to a well-balanced breakfast cupcake of bacon, maple and brown sugar. And then there’s the sweet side of Rothman’s list, on which you’ll find over 25 toothsome treats. Choices range from classics like red velvet, carrot ginger and chocolate to MORE’s upscale version of the original Hostess cupcake with a homemade marshmallow filling. 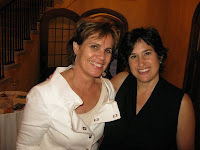 The Kurman team is at it again! We recently placed Wrigleyville's new restaurant, Shochu, in the Fall 2008 restaurant issue of Black Ink magazine. The issue, appropriately titled "Global Guide to What's New" showcases the newest and hottest restaurants around the world! Shochu is listed in the Chicago favorites among upscale dining spots like C-House, Graham Elliot, L20 and Sixteen! Plus global faves like Jean-Georges Vongerichten's "Lagoon" in Bora Bora, John Burton-Race's "New Angel" in the U.K. and Gordon Ramsay's "London West Hollywood" in Los Angeles all made the mag's list. According to the publisher, Ed Ventimiglia, "there are a myriad of new restaurant openings around the globe each year, only a select few delight the palate in such imaginative ways that they are destined to be classics." Huge props for Shochu after only being open for a few months. Did we mention that Black Ink is a lifestyle magazine sent to American Express Centurion cardholders. To have this exclusive card, members must pay a one-time $5,000 invitation fee, plus an annual fee of $2,500 and annual spending of $250,000. Gold, platinum and silver... we celebrate giving and receiving precious metals. Why not celebrate a precious organization? A Silver Lining Foundation, founded by NBC 5's Dr. Sandy Goldberg, provides screening mammograms and breast cancer resources to uninsured patients. 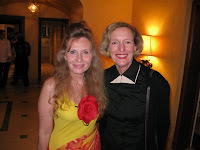 Dr. Sandy and her pals are hosting their annual fundraising gala, A Sterling Event, on Saturday, October 4, at the Hyatt Regency McCormick Place (2233 South Martin L. King Drive), with cocktails at 6:30 p.m., followed by dinner at 7:30 p.m. Rob Elgas and Ginger Zee, two of NBC 5's other familiar faces, are hosting the black tie bash, which will include dancing, a raffle and a live auction. Tickets are available for $300 per person, or $3,000 per table. For tickets and more information on A Silver Lining Foundation and its precious cause, visit http://www.asilverliningfoundation.org/. It's not too late to get your tickets for the Green City Market Harvest Celebration Honoring Market Founder Abby Mandel! The event is this Sunday, September 7, from 5:30-8:00 pm at the Mettawa home and gardens of Bill Kurtis and Donna LaPietra. For those who have never been to the Kurtis home, this is a once in a lifetime chance. It's beautiful and the grounds are unbelievable. 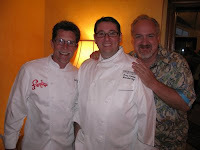 There is a dazzling lineup of chefs, and the auction items are incredible! This is Green City Market's major fundraiser for the year. For more information, and to purchase tickets online, go here. 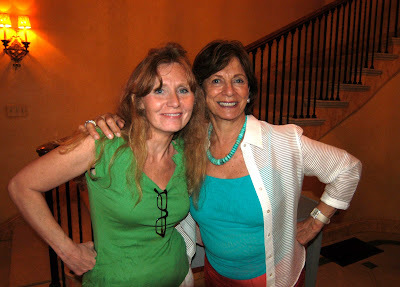 Photo: Donna LaPietra with Green City Market Founder, the late Abby Mandel, at event in 2006. 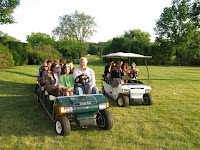 Enjoy Bill Kurtis' guided tram tours around the acclaimed 75-acre grounds of Mettawa Manor in its late summer glow...through the prairie, woodland paths and along its formal garden borders. Fantasize about an array of exciting one-of-a-kind culinary auction packages, all specially created in support of Green City Market. All proceeds benefit Green City Market, a 501(c)3 organization. Please phone the Market office at 773-880-1266 for information. 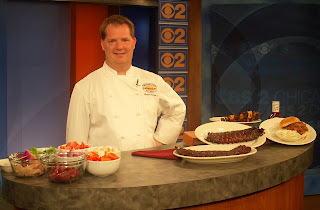 Saturday, Aug. 30, Chef Mike Nykaza from Sweet Baby Ray's showcased alternatives for Labor Day parties on the Weekend Morning news at Chicago's CBS 2 studios. Chef Mike demonstrated to CBS 2's Mary Kay Kleist how to assemble Chicken Kabobs and gave tips on what vegetables and meats work best for the grilling favorite. Chef Mike was also generous enough to bring Sweet Baby Ray's award-winning ribs for the entire CBS staff to enjoy. Sweet Baby Ray's restaurant took home the first place prize at the Naperville Ribfest earlier this summer in the Best Ribs competition for its St. Louis ribs. Want to see what the buzz is all about? Try Sweet Baby Ray's out for yourself with their new Barbecue Buffet starting Sept. 14, 10:30 a.m. to 3 p.m. Enjoy a tailgating themed menu featuring an Omelet station, Carved Tequila-Cilantro grilled flanked steak, Slow Smoked Beef Brisket, Grilled Cheddar Bratwurst, Smoked Polish Sausage, Barbecue Ribs, Barbecue Chicken, Pulled Pork, Grilled Pork Chops, Three Bean and Three Meat Chili, Ditalini Pasta in cheddar cheese sauce, plus a number of salads, pastries and fruit. This special brunch buffet is $19.99/adults and $8.99/children 12 and under. To watch the complete CBS segment, click here.